Florian Tuercke is a sound artist working mainly in the public sphere, creates works which are interactive and participatory involving the audience in the production process whilst inviting them to listen rather than hear. Florian Tuercke’s artistic work is preoccupied with the examination of acoustics in public space. 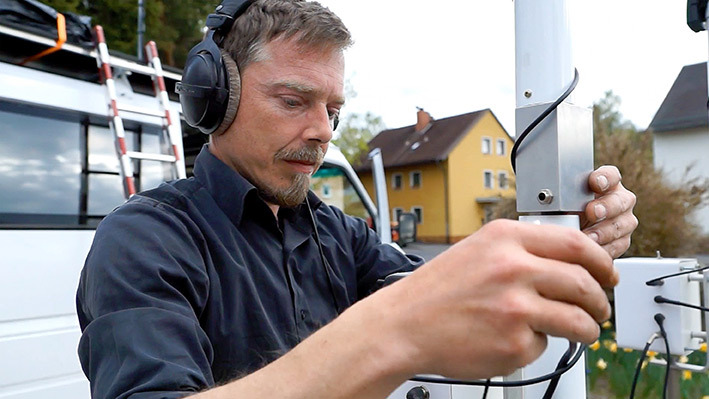 Since 2005 he has been working on the long term project URBAN AUDIO, researching compositional phenomena in the acoustic structure of urban space. To this purpose Tuercke installs tailor-made string instruments at public sites, e.g. at intersections, subsequently transforming the recorded ambient sounds into music. He is also involved in different interdisciplinary urban projects together with architects, musicians, choreographers and sociologists. Tuercke’s latest projects have existed in Spain, Estonia, Finland, Poland, USA and Germany.